Special Courts are up to their necks deep in corporate fraud cases with serious offenses. In this mess of serious offenses, many routine procedural errors and lapses are piling onto the pending cases and cluttering the justice system for corporates. In a pursuit, to “de-clog” the system, a 10-man government-appointed committee chaired by Mr. Injeti Srinivas are looking to bring about radical changes by restructuring corporate offenses. This attempt also comes as part of larger efforts by the government to enhance the Ease of Doing Business and improving ROC compliances. The Ministry of Corporate Affairs has also made brilliant strides to promote faster company registration procedures with One-Day Company Incorporation with SPICe.One outstanding and radical change the panel suggests is the appointment of an in-house adjudication system to facilitate freeing up the workload on the special courts. It is clear that the special courts need a helping hand of support if they are to deliver justice for wrongdoings by fraudulent individuals. A vast array of changes and re-structuring of the system might come as a sigh of huge relief to the judicial system. Let’s break down the changes to system suggested by the committee. Serious offenses categorized into six different classes are to remain under the rigors of the law. However, the panel recommends that procedural and technical lapses falling under two classes should be shifted under the jurisdiction of an in-house adjudication system. This move is directly aimed at reducing the number of prosecutions filed with the Special Courts. Remaining 65 offenses to stay under Jurisdiction of Special Courts to prevent potential misuse. 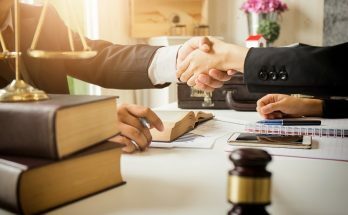 The cross-cutting liability under section 447, which deals with corporate fraud would continue to apply wherever fraud is found. 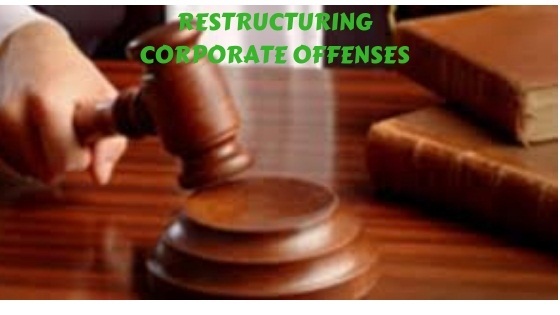 The government-appointed panel was set up in July of 2018 to review and possibly restructure the current framework for dealing with offenses under the Companies Act, 2013. Apart from restructuring offenses, a sincere attempt is being made for ease of doing business, simplifying compliances along with smoother governance process for corporations. The committee has a radical and comprehensive array of changes in mind related to governance as well as disclosure of corporate affairs. Here we list down some of the changes suggested for easier governance of companies. De-registration of Companies on non-maintenance of Registered Office. A greater extent of disclosures with regards to public deposits. Reducing Time Limits on filing documents for satisfaction, modifications, and creation of Charges. It is refreshing to see the government making conscious attempts to streamline the judicial processes for corporations. These suggested changes, if implemented correctly, can really help revolutionize corporate law in India. Whether or not these changes will be implemented correctly or will be implemented at all, remains an unsolved mystery like most radical changes government seems to suggest. A judicial system, corporations, and wrongly accused individuals all watch with a hopeful eye as these changes unfold. Next Article Can No Credit Check Loans Help In Gathering Financial Funds?